French cafe Brioche Doree has more than 500 locations worldwide. And it just opened its 32nd cafe in North America at Baylor Scott & White The Heart Hospital in Plano, Texas. Brioche Doree is known for its fresh-baked pastries, bread, handcrafted sandwiches, house-prepared salads, soups and gourmet coffee. 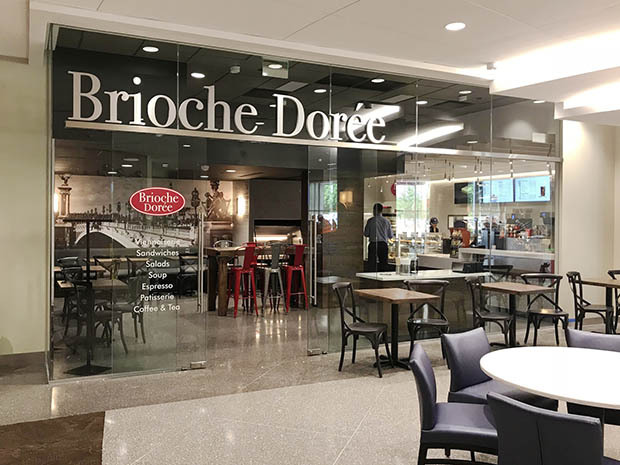 The new Brioche Doree location is on the first floor of the hospital's main lobby and consists of a 1,200-square-foot cafe with walk-up ordering and seating for 27. The new cafe will be operated by Aramark. "Brioche Doree will elevate the hospital's food service program and we are excited to have a little taste of France for the physicians, staff, patients and guests to enjoy while they are here at the campus," said Shanon Rohlik, director of nutrition for Aramark.